We ventured in our Random Foodland Adventures once again. This time was not very successful. We saw several aisles of hot sauces and many odd types of food. For example, Beef Jerky Chocolate bars. And who doesn't love haggis in a can? There were a few items that just really grossed me out, such as dried shrimp and a variety of bugs in a bag. Finally, we found Bacon Ketchup. Hubby had high hopes for Bacon Ketchup because what could be better than combining the taste of bacon and ketchup. Unfortunately, it did not live up to the name. It tasted like barbecue sauce and I couldn't taste the bacon or the ketchup. We didn't use a lot of it, except on a few salads and as a side instead of barbecue sauce. 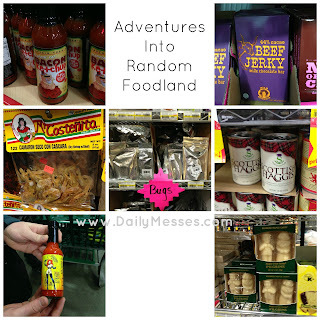 We're still going to keep looking for new items on the next Random Foodland Adventure. I'll let you know what we discover! 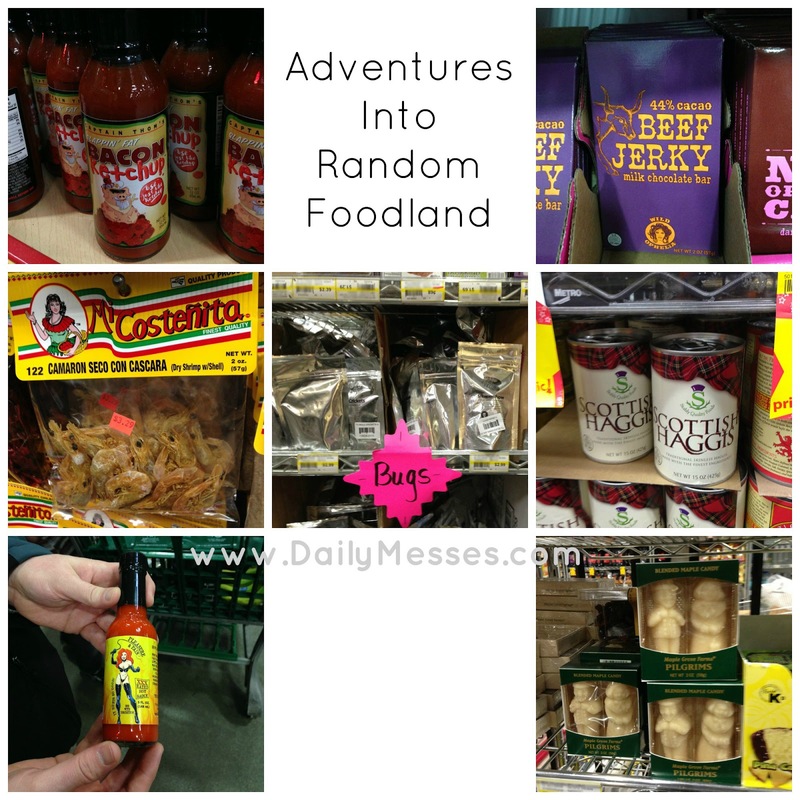 HAVE YOU BEEN ON ANY RANDOM FOODLAND ADVENTURES LATELY? WHAT DID YOU FIND?